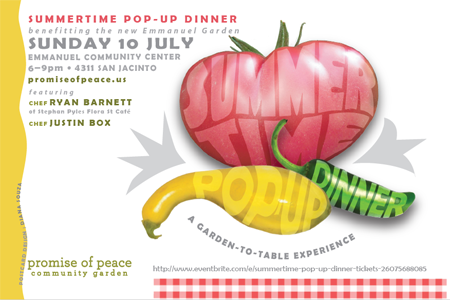 Please join us at the Emmanuel Community Center for a Summertime POP-Up Dinner benefiting the new Emmanuel Garden. Tickets are $75 each. Buy your ticket(s).